Happy World Kindness Day! One of my favorite quotes (which is also included in the attached Kindness Cards printable) is “Do small things with great love!” – Mother Teresa. It is true – it is the small things that add up and make a big difference in this world. Best part is that kids of any age can do simple acts of kindness! At Kudo Banz, we believe in all things easy and positive. So we’ve made doing simple acts of kindness super simple. Have your kids share them in anyway they like (below are 20 easy ideas). 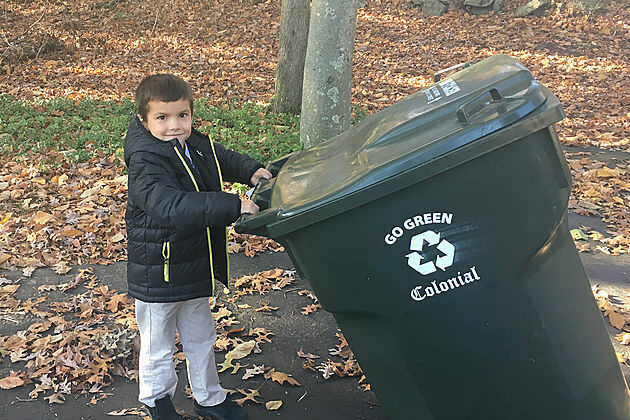 Take in a neighbor’s trashcans and tape a Kindness Card to the top of the trashcan. Send dessert to another family at a restaurant. Have waiter give family a Kindness Card. 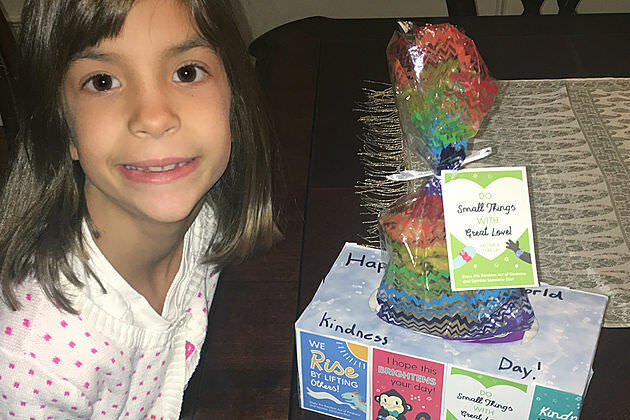 Decorate a tissue box with a few Kindness Cards and donate to classroom. Send a Kindness Card along with a drawing or short letter to a grandparent. Leave Kindness Card in play area at library. Put Kindness Card in a sibling’s or friend’s lunchbox. 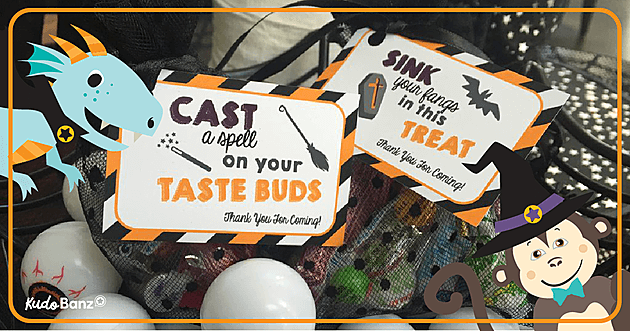 Leave a Kindness Card in the candy aisle of store with a dollar attached. Hold the door open for a stranger and give them a Kindness Card (and smile). Donate a book to a doctor’s waiting room and put a Kindness Card inside. Tape Kindness Card with some change to a vending machine. Share a special toy with a friend and give them Kindness Card. Tell your principal how great your teacher is and give him/her a Kindness Card. Pass out Kindness Cards with a sticker to kids waiting in a line. Return someone’s cart at the store, tape a Kindness Card to it. Leave bubbles on a family’s doorsteps with Kindness Card attached. 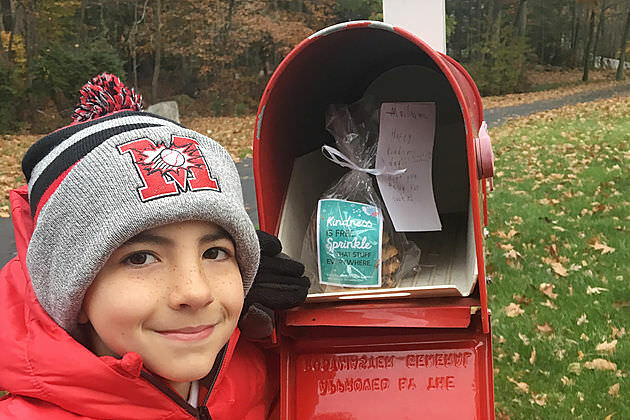 Leave a little treat in the mailbox for the mailman with a Kindness Card. Donate a coloring book and box of crayons to a hospital waiting room. Place a Kindness Card in book. Leave an extra tip for waiter and include a Kindness Card. Make cookies for local fire station or police station and attach a Kindness Card. Make a thank you card for librarian or teacher and include a Kindness Card.